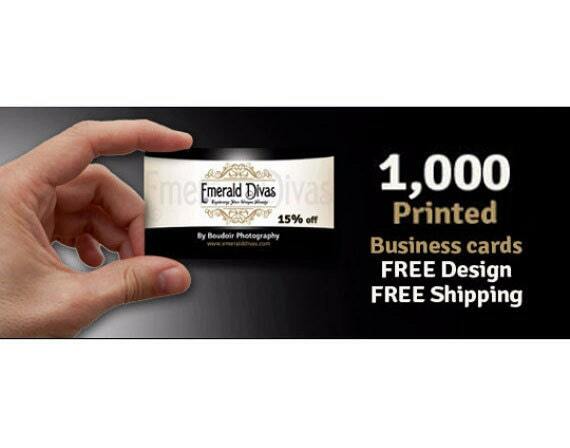 This listing is for 1,000 single or double sided business cards printed with gloss or matte finish using a new or previously created design by us. ✔Step 1: Select your option from the drop down menu then place your order and make payment. ♦ Contact info and text to go on cards. ✔Step 4: We will work on your design and send you a proof within 1-2 days. Once approved, we will proceed with printing and ship to you. This is a great shop. I've ordered multiple times. Very helpful!! Great product. My logo, and the business cards I bought were beautiful. I will continue to do business with this company. Love my new business cards. Process was fast and easy and delivered with speed. Great job....highly recommend them to anyone. Thanks again!